Just south of Albany, Oregon, Peoria Gardens planted its first roots in 1983. The wholesale garden business has expanded over the years, offering high-quality bedding plants year-round. 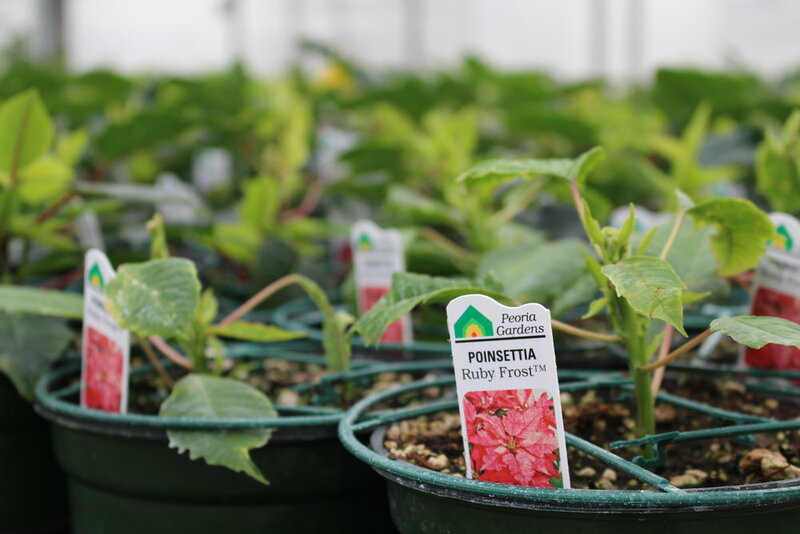 From organic vegetable starts in the springtime to bright red poinsettias in the winter, Peoria Gardens supplies some of the best-known retail garden centers in the Willamette Valley. Twenty year-round employees keep Peoria Gardens up and running. During peak planting season, the team grows to more than 60. Plants from Peoria Gardens’ greenhouses are delivered to retailers up and down the valley, from Chehalis, WA to Ashland, OR. With the help of a $58,000 Oregon Department of Energy conservation tax credit, Peoria Gardens replaced an aging greenhouse with a triple-wall, energy-efficient cover in 2013. In addition to better walls, improved roof vents also help regulate the greenhouse environment for Peoria plants. 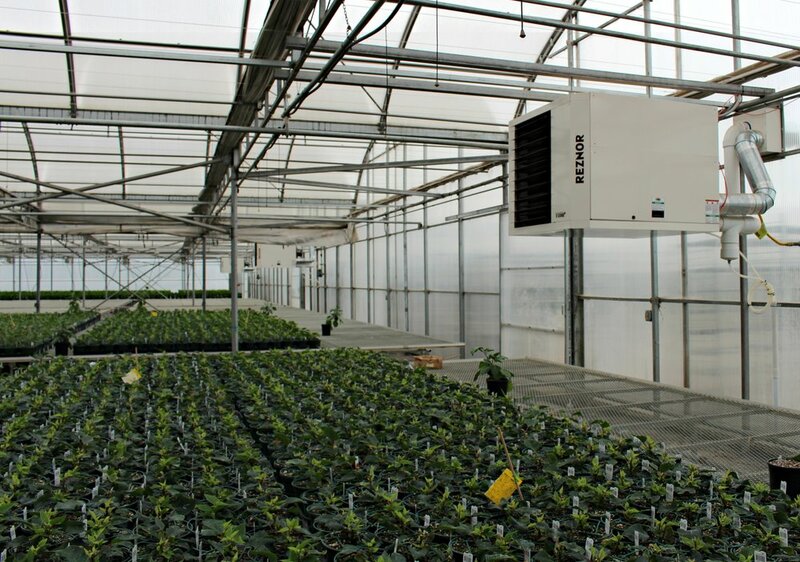 The greenhouses use a system of heaters and fans to create an ideal temperature for growing. Space heaters use a lot of energy, so Peoria Gardens replaced its 46 heaters with more efficient models in late 2015 with the help of a second ODOE tax credit of $11,000. The old heaters were only about 80 percent efficient, which means 20 percent of the energy they used was wasted in the heating process. The new models are 93 percent efficient, so more of the energy used goes directly into heating the greenhouses. In addition to help from the Oregon Department of Energy, Peoria Gardens received grants for the energy projects from the USDA’s Rural Energy for America Program (REAP) and Energy Trust of Oregon. Ben and his team at Peoria Gardens continue to look for ways to make their business more sustainable. Staff often use human-powered tricycles instead of gas-powered or electric vehicles to move plants around the property, and a set of rooftop solar panels help power the business with renewable electricity. Oregon Department of Energy staff provide energy expertise and advice for Oregon businesses that want to make a change. In addition to conservation tax credits, we also provide tax credits for transportation projects, offer Renewable Energy Development grants, administer small-scale loans, and more.